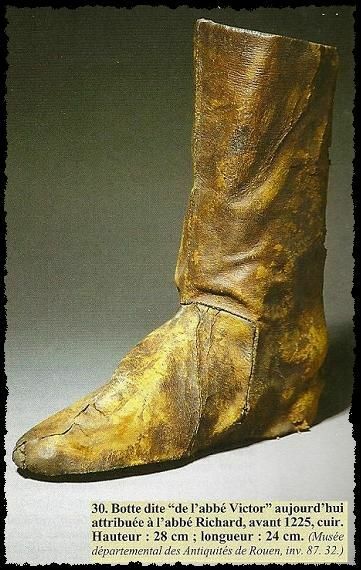 This is a reconstruction of a pair of tall riding boots from the 5-7th century found in the ruins of the Byzantine city of Antinopolis in modern day Egypt. Because of the favorable climate there, the city is a treasure trove of historical artifacts most of which have survived in great condition. This allows us to better understand how shoes and garments were made, and what they looked like. 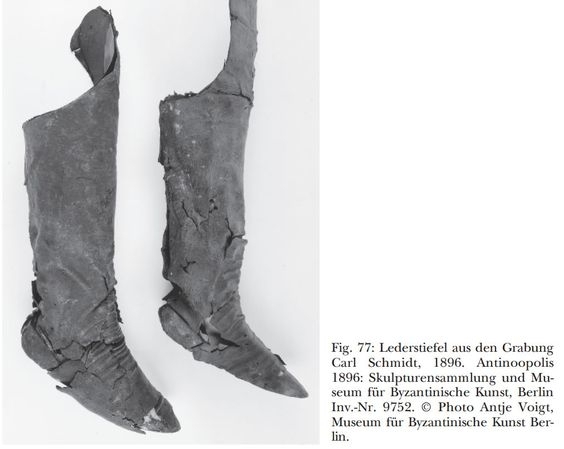 This pair of Byzantine riding boots were made in the classical “turnshoe” construction method, which means that they were sewn inside out, and then flipped. This is a very popular way of making shoes, that remained in use for centuries. Because of the inherent flaws in this method, however, the reconstruction we’re presenting here is much different when it comes to soles and sole attachment. 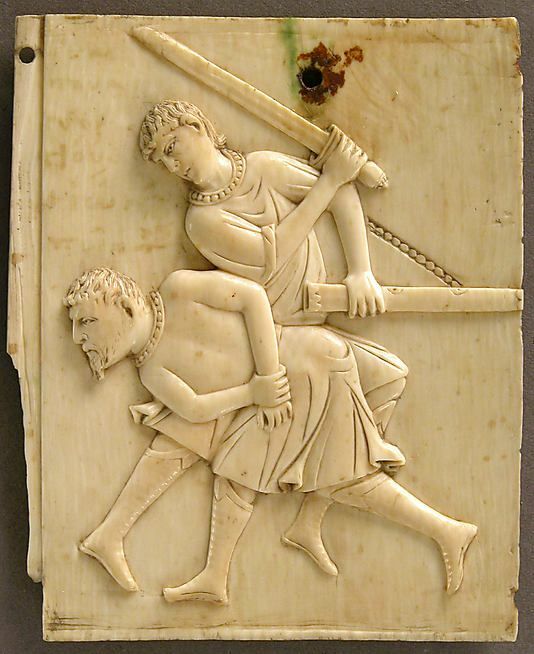 Byzantine ivory casket from 10-11th century. 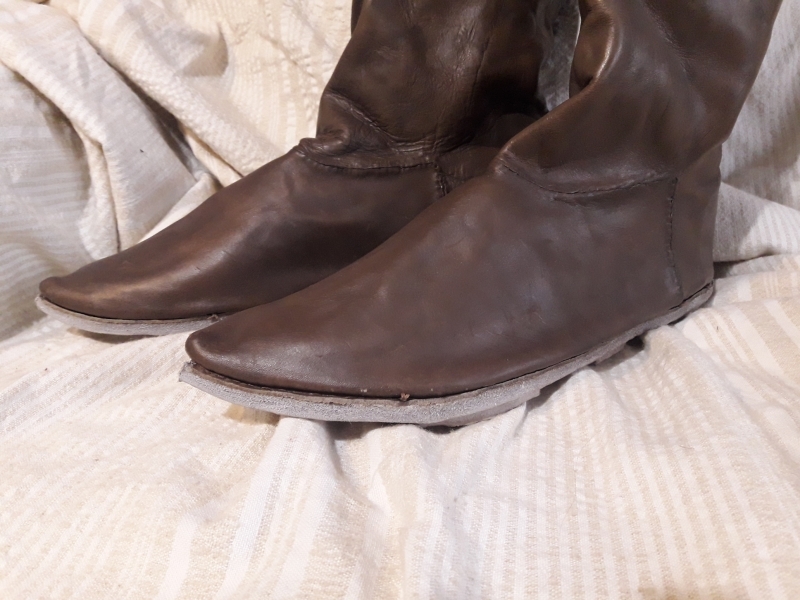 Similar boot model. As you can see, this is not a “turnshoe” construction. The method used here is called “clump-shoe” which is a fancy way of saying that the sole is outside. The shoe is sewn inside-out with a thin leather sole, and a narrow strip of leather protruding between the upper and the inside sole. This thin leather strip is where the sole is attached to. This construction method became popular in 14-15th century Europe, and is very good for our modern reconstruction needs. 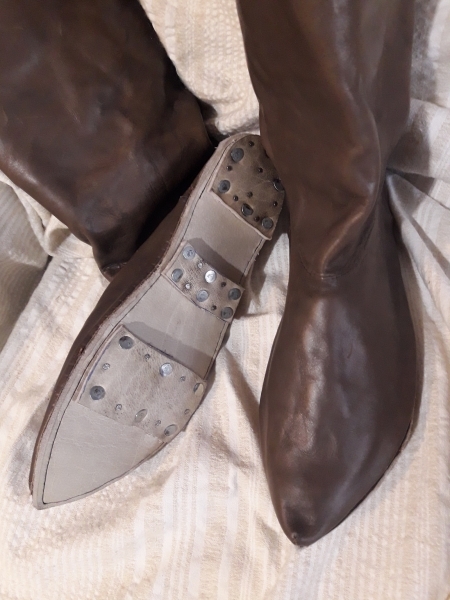 It allows the reenactor to replace the sole of his riding boots when they get worn out, without having to compromise the structural integrity of the boot. In this case, the customer wanted them reinforced with additional layers of leather and hobnails for better traction during combat. We don’t usually deal with hobnails, and don’t have the practice of nailing the sole, but we did our best, and are pretty happy with the results. The upper leather is 2mm calf leather, the sole is 7mm cow hide, with additional nailed strips of another 7mm. 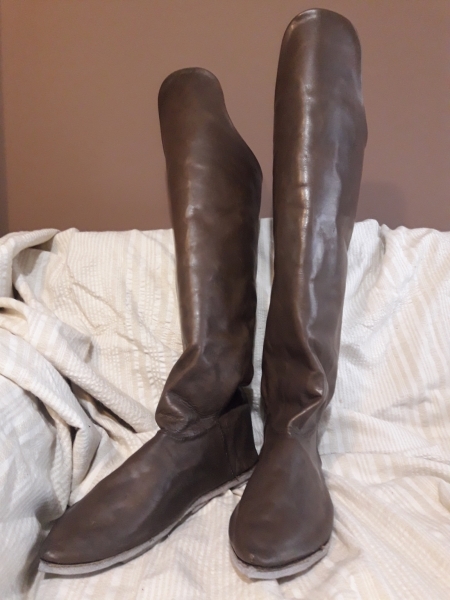 As far as Byzantine riding boots go, these won’t be very comfortable to wear on horseback, because the sole reinforcement will make the use of the stirrups very difficult. 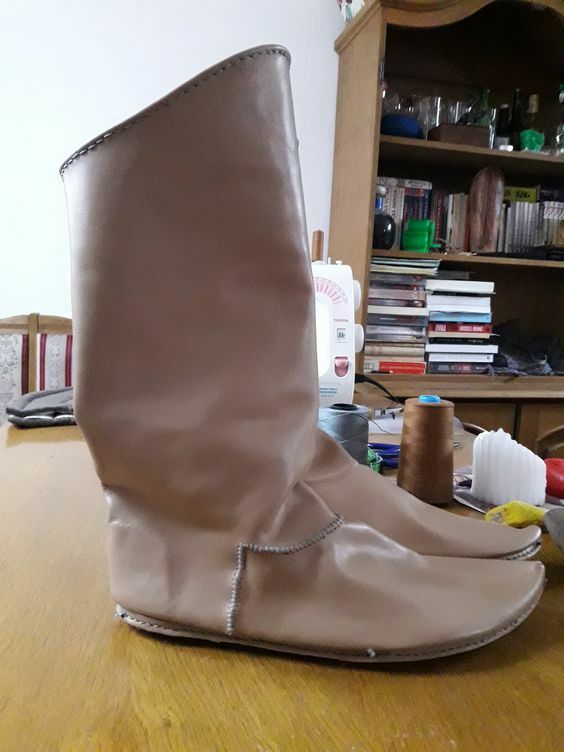 However, if you are a swordsman who plans on doing a lot of fencing and fighting on foot, these boots are the best thing you can get. 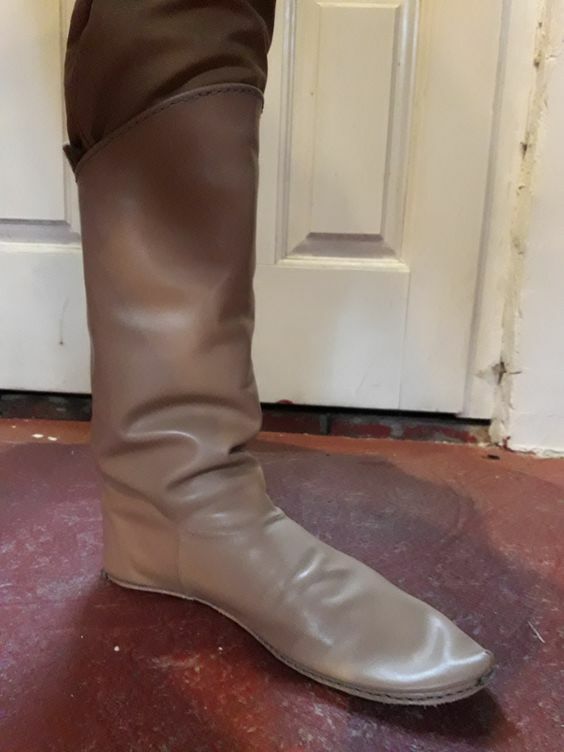 For years I’ve been having requests for standard issue soldier’s tall boots. 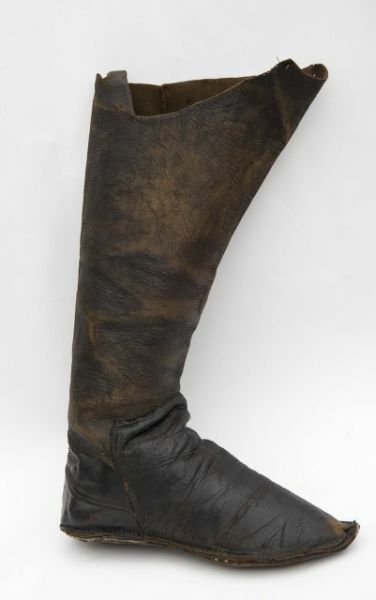 I say tall boots, because they are taller than the viking age ankle boots, but not as tall as the riding boots popular through western Europe in the 15th century. This particular model is based on depictions and archaeological finds from all over Europe from the 12th to the end of the 14th century. 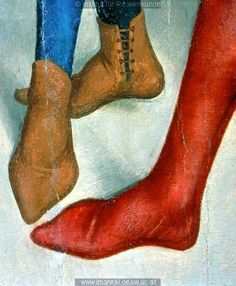 As far as medieval tall boots go, these are a pretty strong pair. They are made of 1,5mm upper leather, with a 7mm thick sole. They are constructed in the clump-shoe method. Meaning, that they have a thin inner sole that holds the shoe together, and a thick outer sole that is easy to replace when worn out. 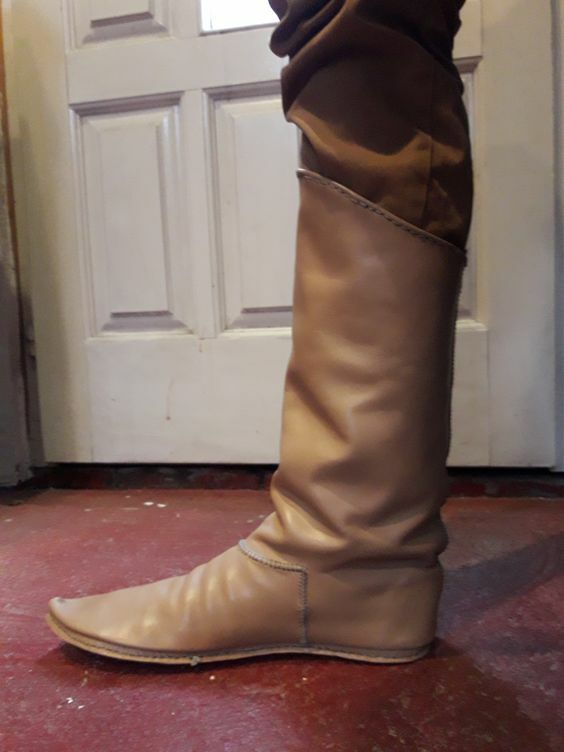 These boots are different from other pairs I’ve made by the stitching that connects the two pieces of the upper leather – the front (from toe to ankle) and the upper (from ankle to mid-calf). I used thinner but stronger threads to make the stitches more subtle and concealed. 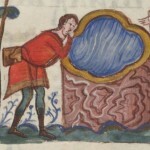 Which is how the medieval examples usually are. 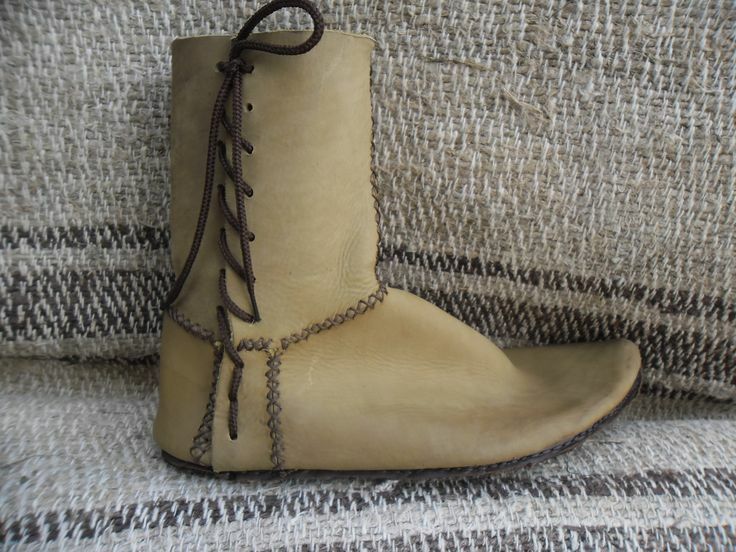 However, since we are making shoes for reenactors, sometimes their requirements differ from the historical methods. 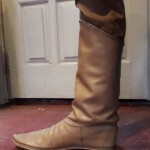 In this case, the customer wanted a pair of really strong and durable medieval boots. 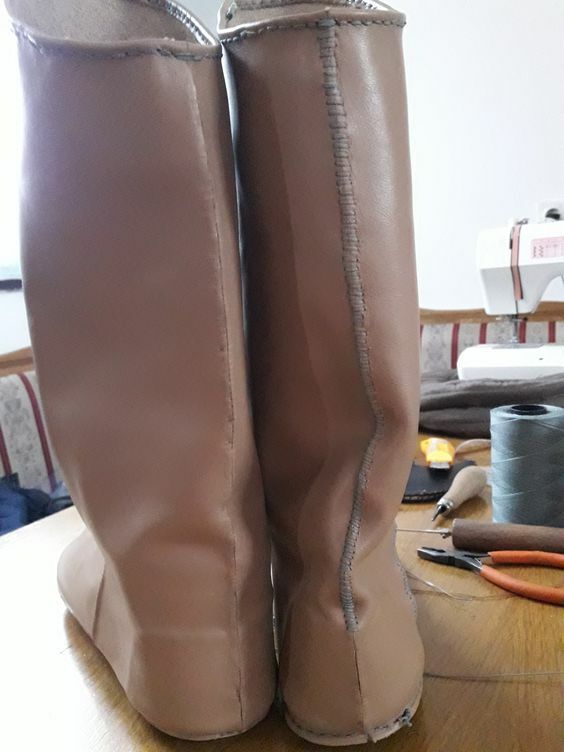 That’s why I decided to make a comparison between the two boots before i finish them and send them to the happy customer. Inside stitches are made under the vamp (face) of the leather and when done right, should remain concealed. 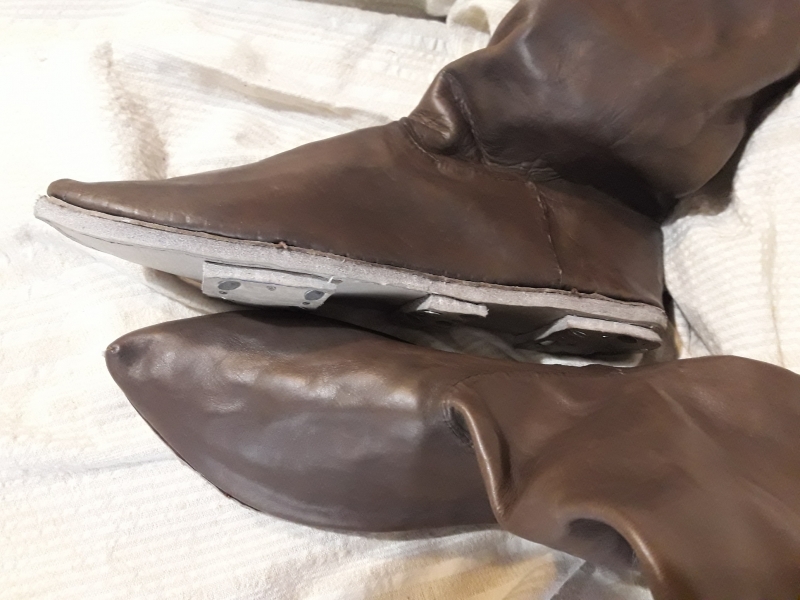 However, when dealing with turnshoes, this can be harder due to the pressure and force that needs to be applied when flipping them inside out. So even if they look perfect while making them, they can still turn out defective when flipped inside out. 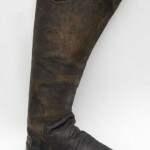 This is due to the leather’s elasticity, and can be prevented only by using thicker leather and tighter stitching. This is also the universal medieval way of making shoes or at least – making the upper parts for shoes. Overall inside stitches are the most authentic way to connect the different pieces of the shoe’s upper part, and can be pretty strong and durable when done right. When executed poorly, they can leave gaps between the different parts of the shoe, and look badly. 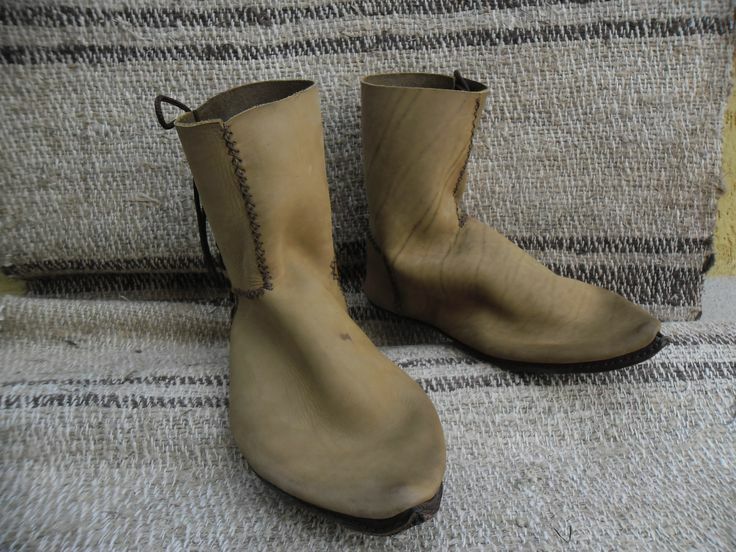 The outside stitch is not common for medieval boots or any type of historical shoes from that age. Or at least, i’ve never seen any archaeological examples with outside connecting stitches. Although it’s easy to make and it looks medievalish, it’s not really strong and durable due to the fact that the threads are exposed to the elements. Which makes them susceptible to wear and tear. 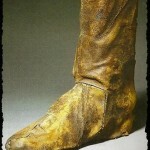 Worst case scenario, your medieval boots get wet, then the sun dries the threads out making them brittle. That’s why this type of stitch is good for leather products that don’t get exposed to harsh weather conditions. 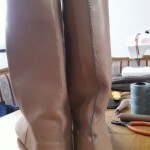 Overall the outside stitch is not recommended but it can add a level of sturdiness to your medieval boots when combined with the inside stitch. It’s double the work, but also twice the strength. This is why I wanted to make this comparison. 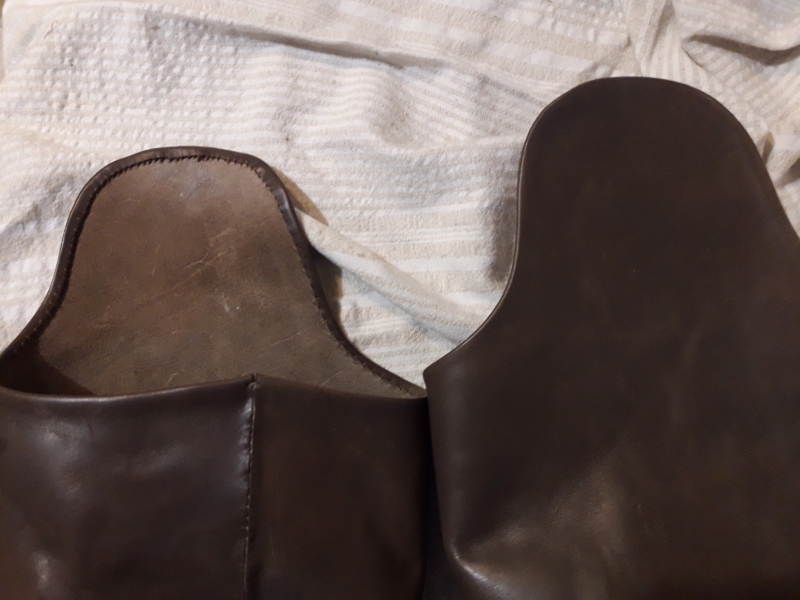 Although the inside stitch looks better, cleaner, and is more authentic, ultimately it’s up to the reenactor and his standards to decide how he wants his kit done. 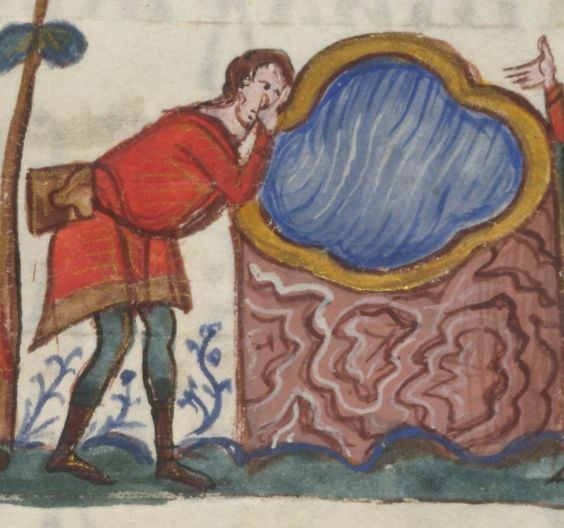 If you want to be strict about your medieval boots, i recommend the authentic method. 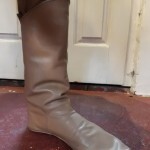 If you want a sturdy pair of boots suitable for trekking through rough terrain or arena fighting like bohurt, then i suggest you check out the re-enforced boots. In the end, it’s up to you. PS: You can find us in Pinterest here, and contact us in Facebook here. I’m pretty proud of the results. 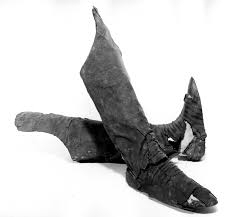 They look pretty close to the original London side-laced medieval boots. Sergei did a nice job on them and it wasn’t easy because of the nature of the project. 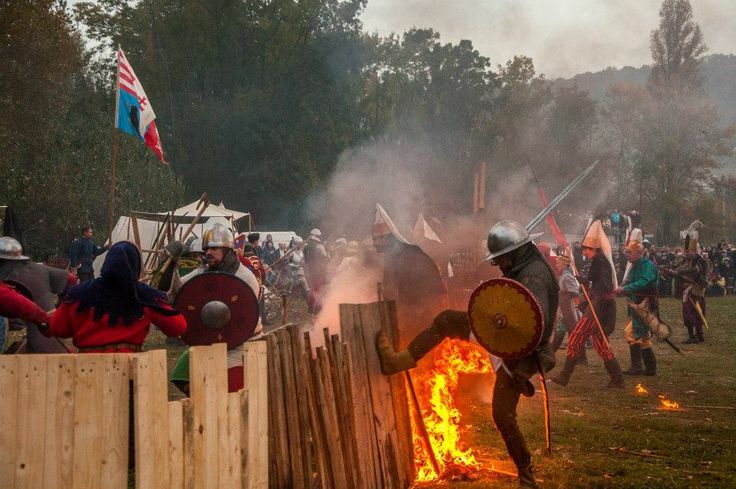 The owner – Vladimir of Chigot, wanted a pair of sturdy combat boots, so he insisted on using tough leather and reinforcements on the weak spots. 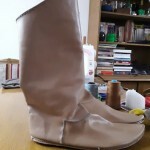 That’s why the heel is made of 2,5 – 3mm thick calf leather and the rest of the upper is 2-2,5mm also calf leather. 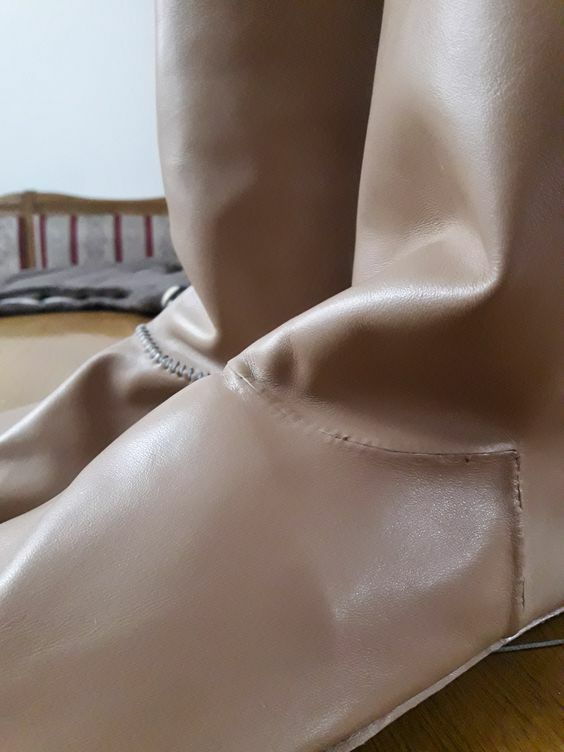 The actual leather is very durable and stiff, so sewing it under the skin was nearly impossible. That is the reason why they have these coarse “X” stitches. It’s not a matter of decoration or anything. It’s just that the leather can’t be sewn with hidden underlayer stitches.